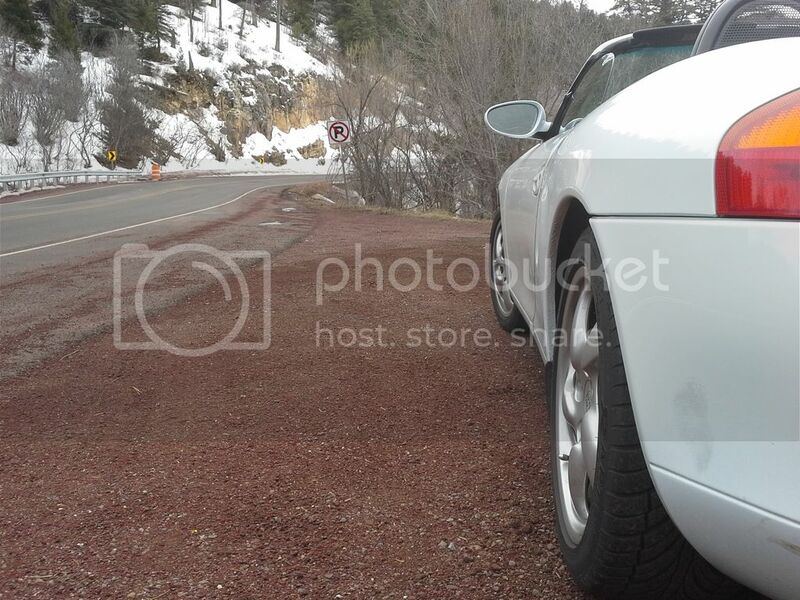 I thought it was time to introduce myself and my car to the 986 Forum. Back in February I purchased a 97 Boxster after getting rid of my well used but much loved 968 coupe. I decided to title this thread with the purchase price because I did another thread on the Pelican Parts Forum for the 968 titled "The $3500 968". Here's the link if you're inclined. Budget Porsche ownership is the only way I can enjoy the marque, and with a little luck and a lot of DIY experience, I'm happily into my second Porsche. 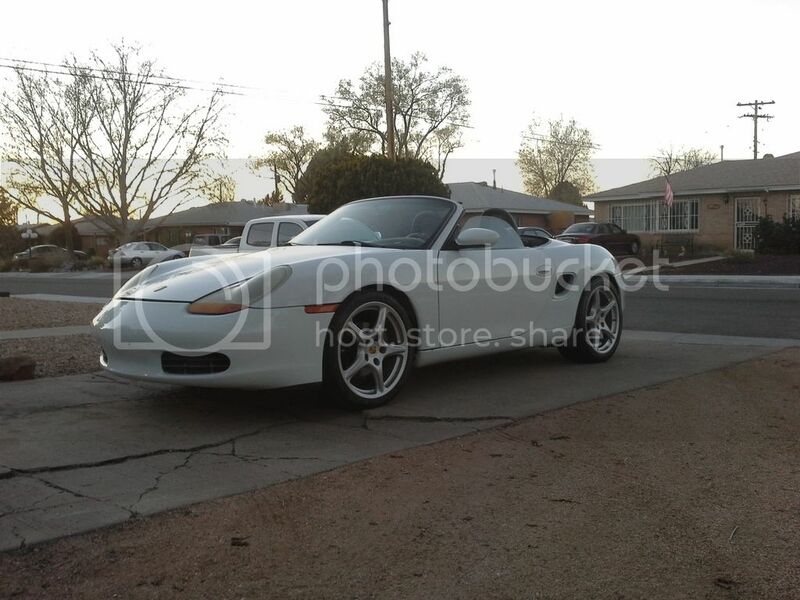 I bought the Boxster from a local guy who had owned it for 11 years. 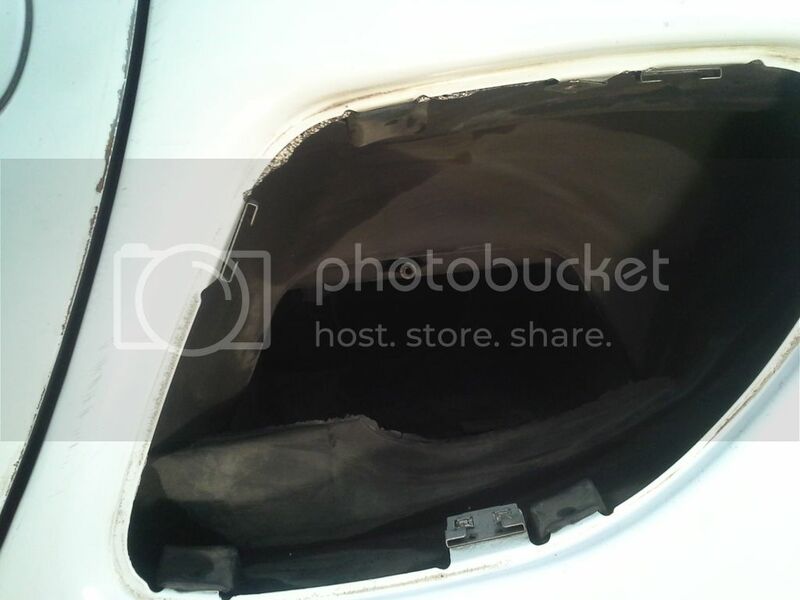 He also worked on the car himself and did a great job keeping up with maintenance and regular oil changes. When I bought it, it had just under 140k miles, ran and drove great, and other than a very minor power steering leak, had no leaks. He was asking $6200 and with a little negotiation, I managed to score it for $5500. 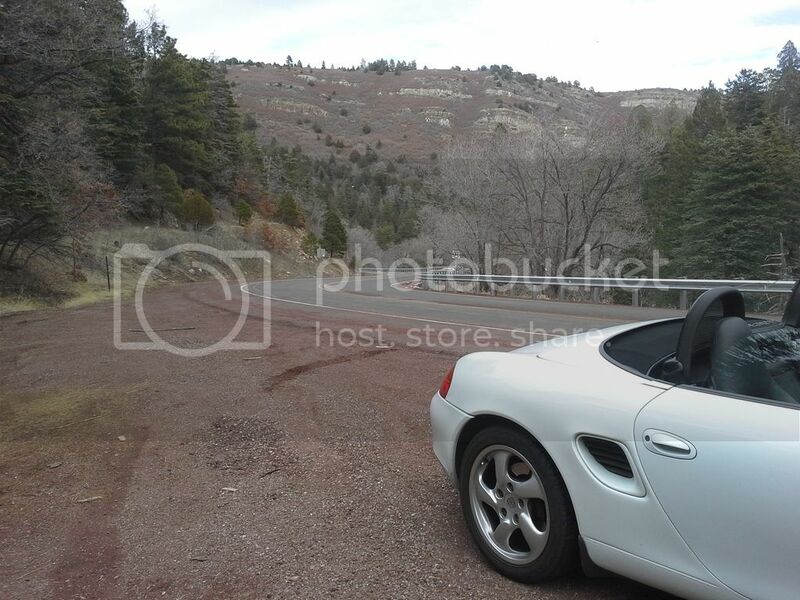 My first mountain drive in the Boxster. What amazing handling cars! I've also done some upgrades which I will post soon. 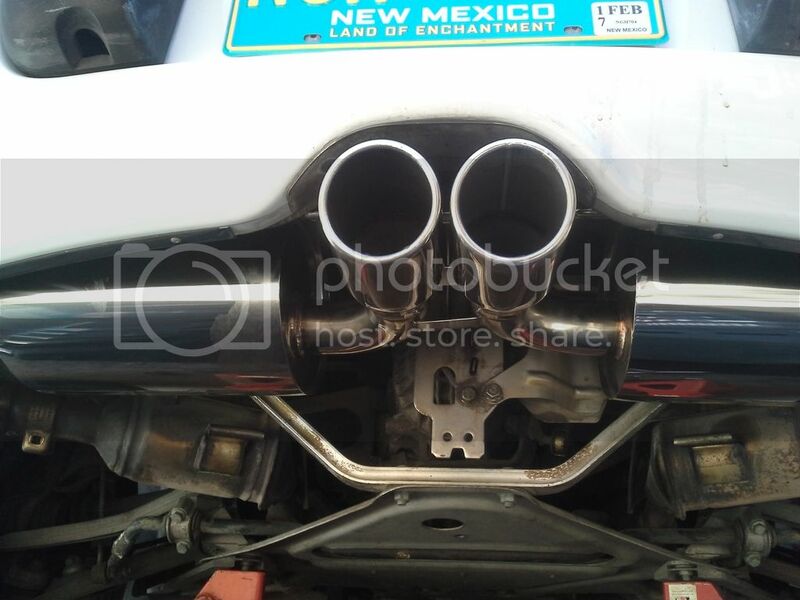 So after driving the Boxster for a few months, I decided to swap out the exhaust for my first upgrade. 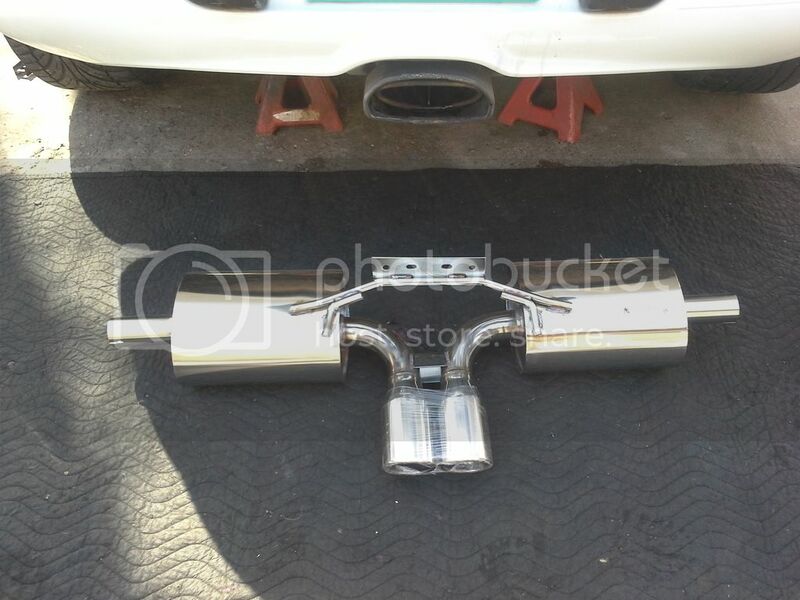 Sticking with the budget theme, I went with an eBay exhaust by Beluga Racing. I doubt they made it since I've seen other companies selling what seems to be the exact same unit. Regardless, it was stainless steel and promised a more sporty sound. I had no expectation of a power increase. But it was hard to argue with $299, shipped. I like the exhaust a lot. On start up, it takes that great Porsche sound and gives it a nice snarl. Through the revs, it sounds really good and then even better as it approaches redline. Downside, of course, is that drone between 2200 and 2800 RPM. But at this point, it's not enough to make me go back to stock. Nice score! 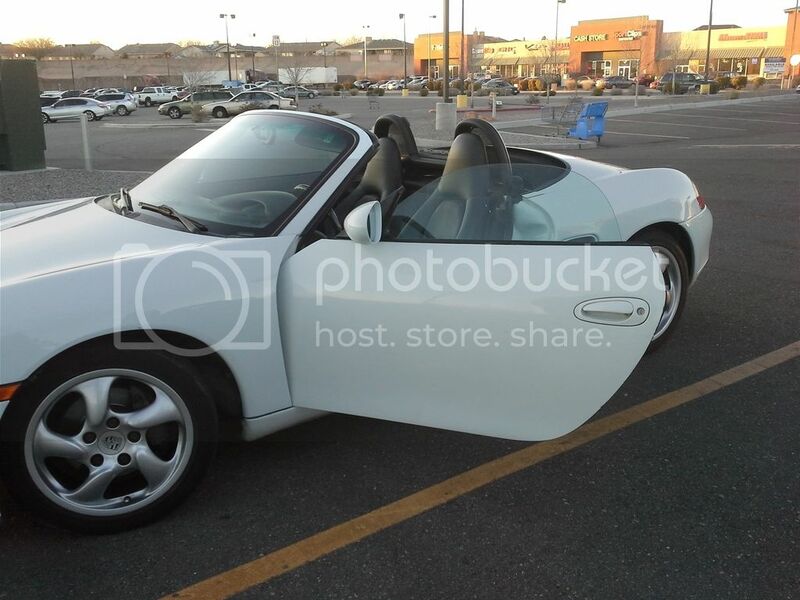 I really like the look of a white Boxster. Try the secondary cat delete. Top Speed makes some on the cheap and they can reduce the drone. Good luck. Holy crap! That's a beautiful car at any price and you have some great roads to enjoy it on! 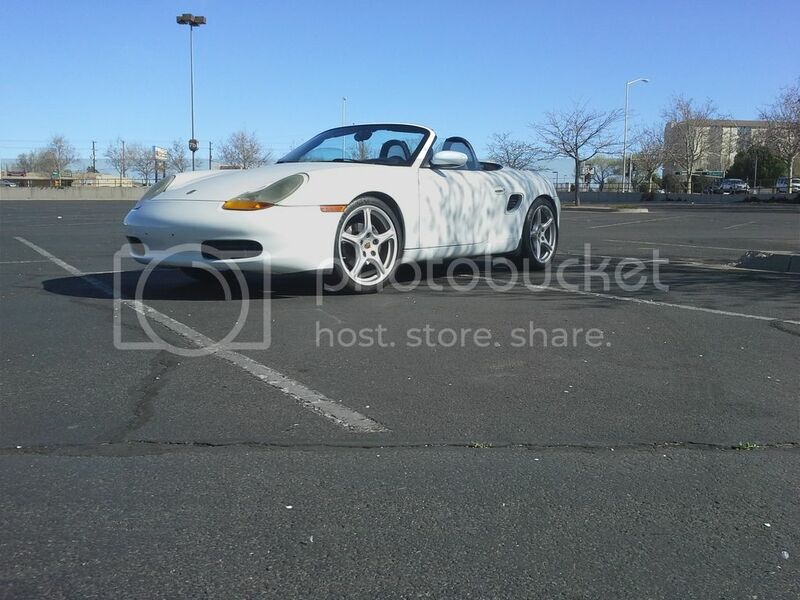 Congrats man, that's a clean looking boxster.Looking forward to future upgrades. 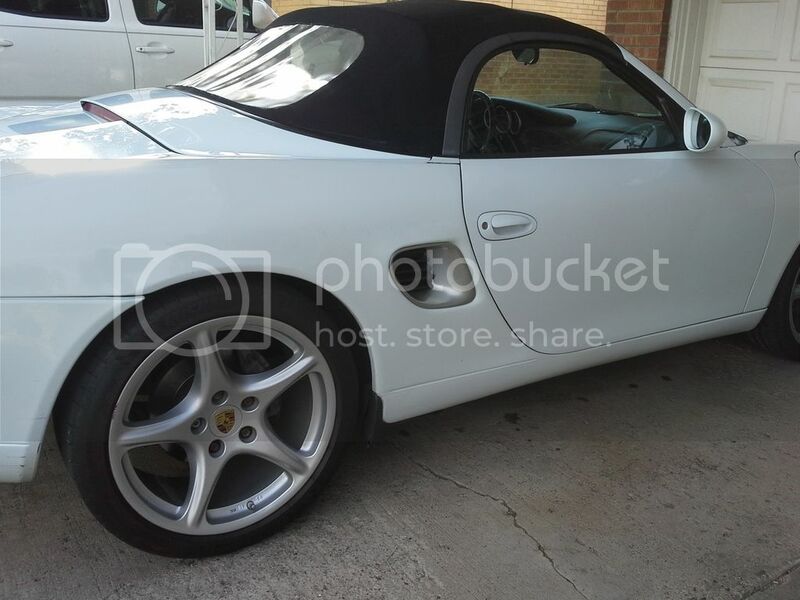 Great to see you've joined a group of Boxster owners who know how good these cars are. Sorry to see the price keeps dropping through the floor on such a great Porsche. Nice buy! It's the right color! Happy for you, but knowing you got a sorted 1997 for that little is depressing. I've dumped $40k into my 97 so far (since 2004 when I purchased it) and to think it's worth $5500 is not making my day. 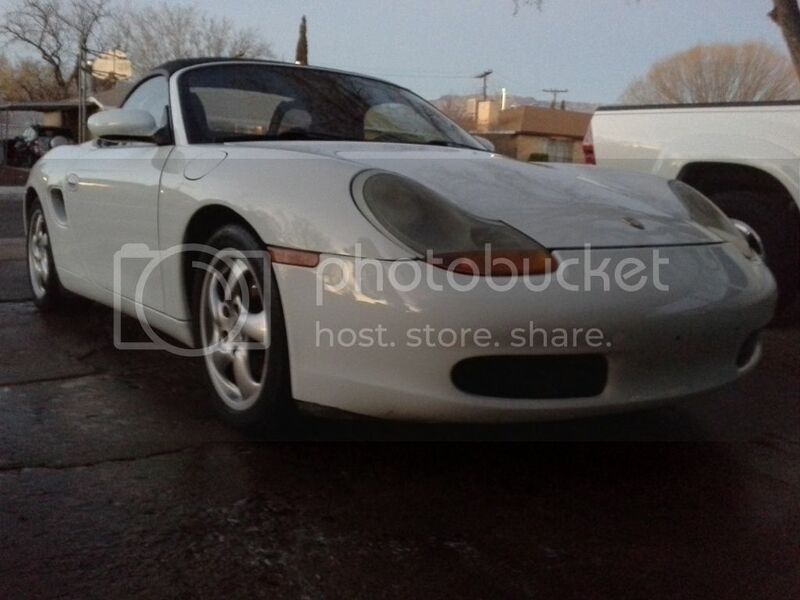 Budget Porsches do exist, but apparently yours is not one of those. How in the world did you..............................never mind, I don't want to know. 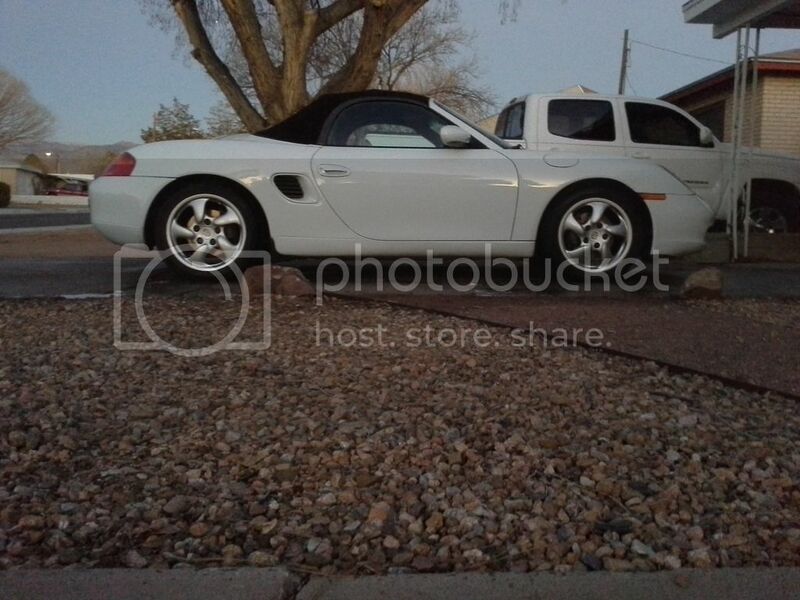 I have a 1999 on the classifieds right now for $5000, or $6000 with the hardtop. It needs a few things, but there is no way it's $40K worth of work. 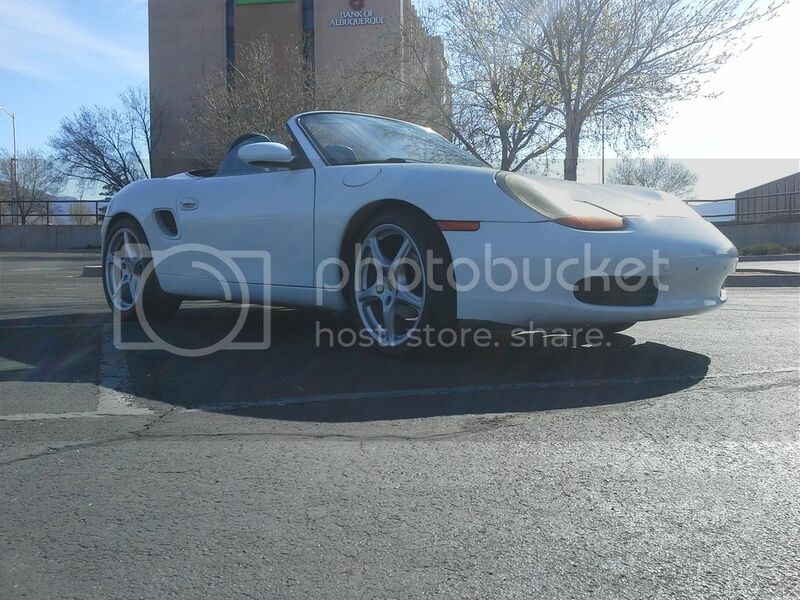 Here's how you spend $40k on a 1997 boxster. 6. Replace all four wheel bearings and what the heck, while we're at it swap out the tired struts for coilovers and adjustable control arms. $3800 including labor. I could go on and on but you get the point. Half of it was mods and half was repairs. I was thankful it had a new motor in it when I bought it or that would have been replaced along the way too. 986to986, read the above carefully. You may well be in for a $hitload of repairs in the future when all the suspension bushings crack and your wheel bearings go... unless the PO paid big bucks to have all this done along the way (doubtful unless you have paperwork to prove it). Closing thought: I didn't dump the car years ago because I cannot replace it with another Pcar I like for less than $70k right now. So why not keep it and drive it instead of going Porschless? That's my thinking anyway. I think it's easy to throw a lot of money in a Box. If you take a look at the Porsche parts price list you'll see that part prices raised extremely since the car is getting older than 10 years. 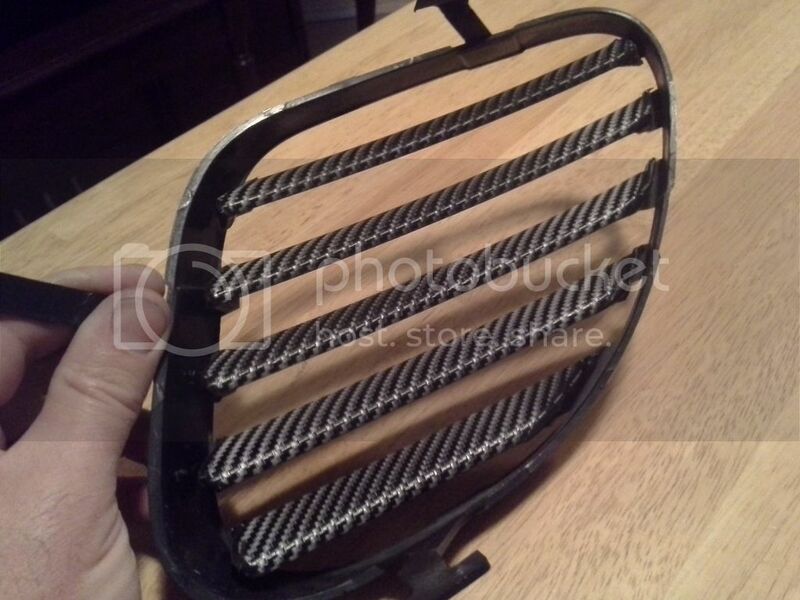 So, if you like to use new OEM parts, be prepared and sit down before you'll ask your P dealer for prices. And yes, there are after market parts and used parts available. But not always. Don't forget that this car was a minimum of 50K plus when new. Mine was about 65K euro in 2003. 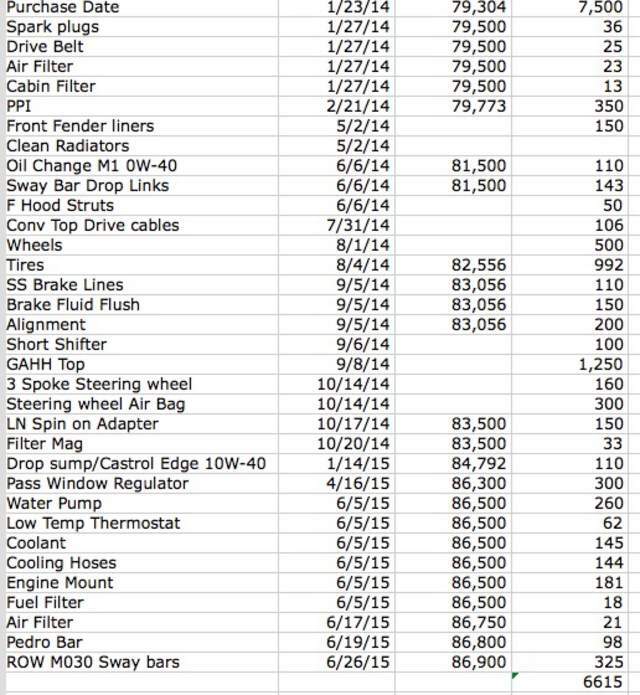 Hey Randallneighbor I think I may be on pace.... $7500 for car plus the list below in 1.5 years and 7k miles. This with IMS, AOS, clutch and brakes that still need to be looked at. How is the weight, are these lighter? Thanks for all the comments. I'm very fond of the white color too! The exhaust is considerably lighter than stock, which I think losing some weight at the very back of the car is a good thing. Please don't let the pretty looking car fool you! 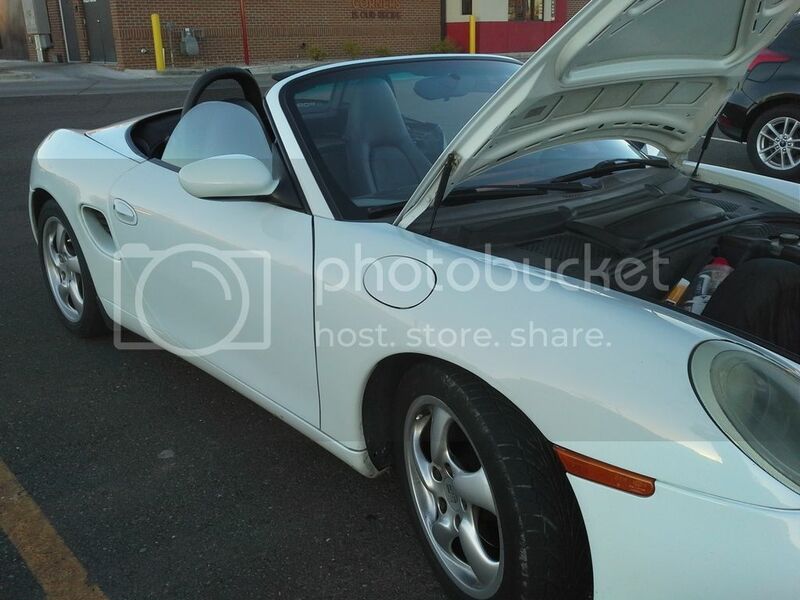 I think I got a good Boxster for the money, but it has plenty of things that will need to be addressed (and some that I probably won't address). If I took this car to my local specialist to fix it all, it would feel like a fairly idiotic buy. But this is what I expect for my budget purchase and I will spend many hours and hundreds, probably thousands, of dollars over time keeping it going. But in the meantime, I get to drive the hell out of it! I'm a fan of the 17" wheels that came on the Boxster, but I just think these cars take on a whole new attitude with the right wheels. I have friend who had a beautiful Cayman S with aftermarket wheels. He was selling the car to make room for his new Cayman GTS and I knew he had the stock wheels hanging around. 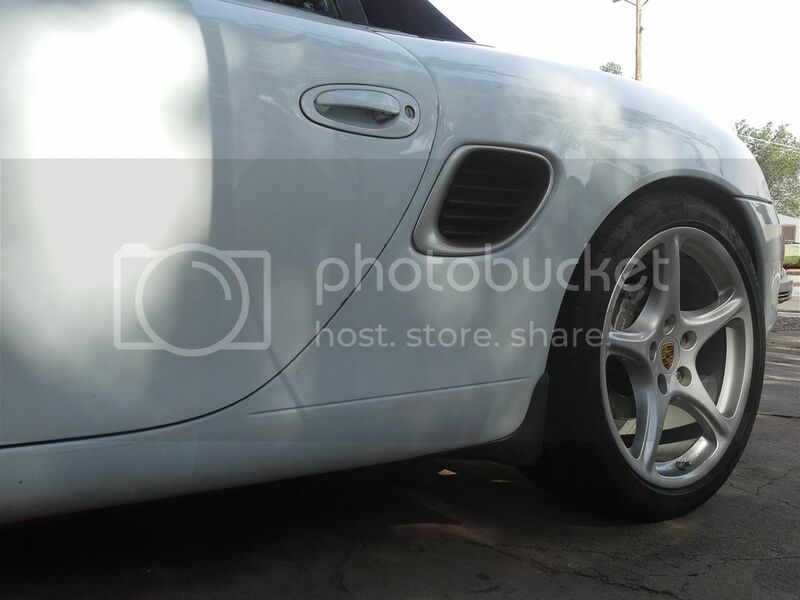 I thought they were 18" inch Carrera wheels but when I contacted him, he told me they were actually 19" Carrera Classics (which I love), and that he would give me a smoking deal on them with good Michelin Pilot Super Sports if I would get them out of his garage. 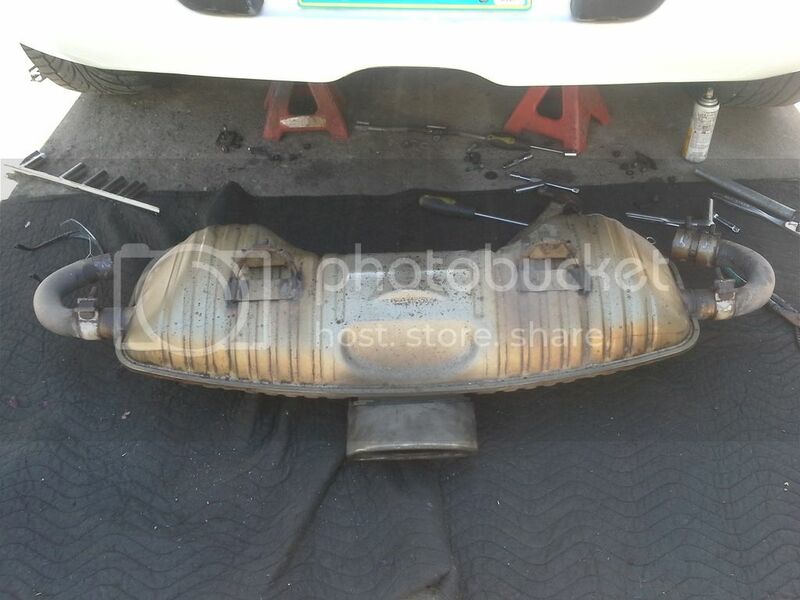 So, I did what you're not supposed to do on an early Boxster and bolted on big wheels. Still have the 17s though. Now I've got to find a set. 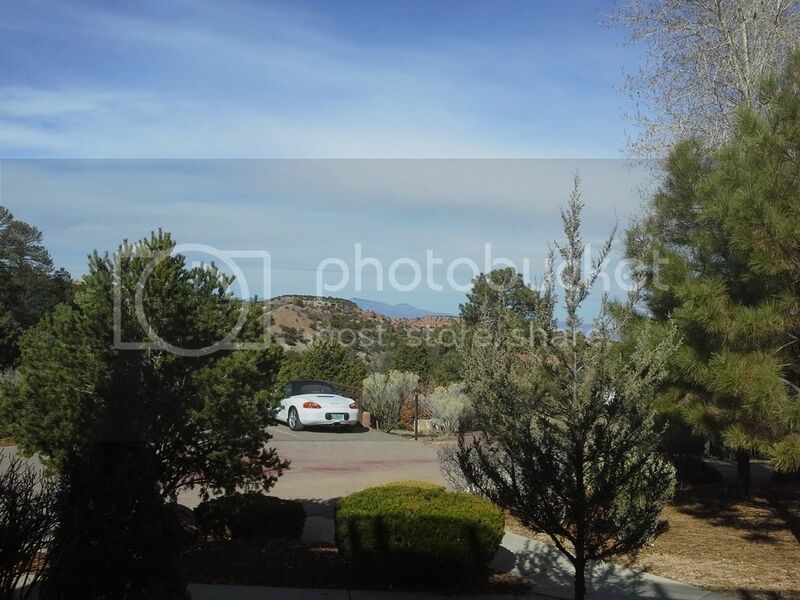 Welcome to the forum and congrats on a beautiful Boxster I noticed you found the perfect parking spot in Santa Fe, a corner spot in view from the room How many times did you stare at it from the room? Those wheels look fantastic, congrats on another great purchase! Thanks! Yeah I was definitely guilty of looking at the amazing "view" a lot that weekend. Luckily my wife loves the Boxster too, so she was understanding. The mirrors will be next with carbon fiber accents, and then I think Porsche script for the sides in silver.